The AHA Basic Life Support (BLS) for Health-care Providers Course is designed to provide a wide variety of health-care professionals the ability to recognize several life-threatening emergencies, provide CPR, use an AED, and relieve choking in a safe, timely and effective manner. This "re-validation" course is intended for health-care providers looking to renew their skills necessary to treat patients who have collapsed from sudden cardiac arrest and other cardiopulmonary emergencies. Participants must hold a valid or recently expired American Heart Association BLS Healthcare Provider CPR card in order to participate in this course. The AHA Basic Life Support (BLS) eLearning for Health-care Providers Course is designed to provide a wide variety of health-care professionals the ability to recognize several life-threatening emergencies, provide CPR, use an AED, and relieve choking in a safe, timely and effective manner. You complete the eLearning at home and come in for in-person skills testing on with CPR training manikins. This course may be used for initial or renewal BLS for Healthcare Providers Course completion. The ACLS initial provider course provides the knowledge and skills needed to evaluate and manage the first 10 minutes of an adult ventricular fibrillation/ventricular tachycardia (VF/VT) arrest. Providers are expected to learn to manage 10 core ACLS cases: a respiratory emergency, four types of cardiac arrest (simple VF/VT, complex VF/VT, PEA and asystole), four types of pre-arrest emergencies (bradycardia, stable tachycardia, unstable tachycardia and acute coronary syndromes) and stroke. 12 Contact Hours CEU's Available. We offer 2 ways to take the Initial Course, 2 day traditional or 1-day Accelerated. Same as ACLS Course description above, except course participants must hold a valid or just expired AHA ACLS card. The renewal class does not include the book, but can be purchased separately. 5.25 Contact Hours CEU's Available. ACLS eLearning Course provides the knowledge and skills needed to evaluate and manage the first 10 minutes of an adult ventricular fibrillation/ventricular tachycardia (VF/VT) arrest. This class is NOT recommended for first time ACLS students, however it can be used for initial or renewal ACLS Course completion. Sunday April 28th 2019 from 9:30AM - 6:00PM - Total Cost: $225 - Note this is an accelerated One-Day Course. The AHA's pediatric-focused courses provide advanced assessment and recognition training for healthcare professionals who treat cardiovascular emergencies in infants, children, and adolescents. The PALS course gives health-care professionals the knowledge and skills to better recognize and treat critically ill infants and children.12 Contact Hours CEU's Available. Same as PALS Course description above, except course participants must hold a valid or just expired AHA PALS card. The renewal class does not include the book, but can be purchased separately. 5.25 Contact Hours CEU's Available. 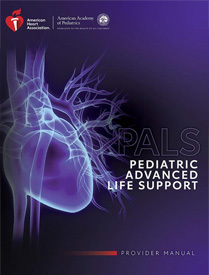 PALS eLearning Course healthcare professionals who treat cardiovascular emergencies in infants, children, and adolescents. The PALS course gives health-care professionals the knowledge and skills to better recognize and treat critically ill infants and children. This class is NOT recommended for first time PALS students, however it can be used for initial or renewal PALS Course completion. This unique course is designed to combind the BLS CPR Renewal and ACLS initial course. 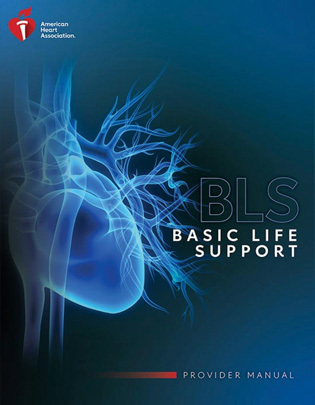 If your BLS card is expired, you must complete the BLS for Healthcare Providers course completion challenge testing during the Advanced Cardiovascular Life Support (ACLS) and written exam, an additional $32. If you do not have an American Heart Association BLS Healthcare Provider card you must take a full BLS healthcare Provider course. After successful completion you will be issued a current AHA BLS Healthcare Provider Card. This course is for anyone with limited or no medical training who needs a course completion card in CPR and AED use to meet job, regulatory or other requirements. After successful completion you will be issued a current AHA Heartsaver CPR/AED Course Completion Card.